From the back cover: "This is a story of emigration and home, and of long-buried secrets - a story which many families will understand and respond to. Claudia Carfax, a painter living in Vienna, receives an urgent cable asking her to return to the family home on Vancouver Island, where her elderly aunt is dying. In a cellar under the house. she comes across a tin box full of faded letters from the early years of the century. Examining them, a compelling story begins to surface through the veil of years, as fresh in its intimacy and hidden tragedy as on the days these passionate words were set down." This was a wonderful book that paints a picture of life for early settlers in this area, and, of course, all the family secrets that often accompany immigration. I really enjoyed reading it, especially because I live in British Columbia and am familiar with the places they mention in the book. This book is now on its way to bookguide, who chose it out of my Two Worlds Virtual Bookbox. It should take about six to eight weeks as I mailed it surface mail. Enjoy! Safely arrived in the Netherlands today, six weeks after being posted. Thank you Loveamystery for organising the Two Worlds Virtual Bookbox, and for making this book available to me. I'm afraid it will disappear on to the slopes of Mount TBR for quite some time, but it will be listed on my profile under the heading Rings in my Possession if you would like to check when I might get round to reading it, and it will take pride of place on a special shelf so it doesn't disappear into the general messiness of my house. As I say, it may take a while, but I promise to read it and journal it to let you know what I thought. Thank you for sending it and 'The Emerald Cloak'. I finally got around to reading this book after taking it out of the Two Worlds Virtual Bookbox. 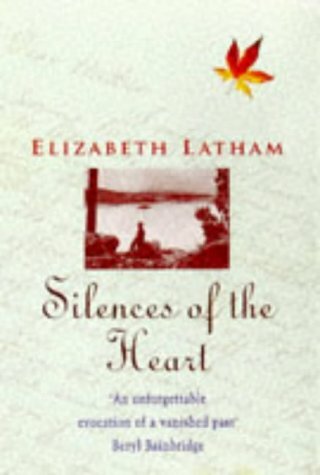 I thought it was an appropriate book to read near Valentine's day, although it is not a love story. The book is written in letter form, which worked very well, and highlighted the difficulties of long-distance communication a century ago, as letters crossed each other, and it took months before answers to questions were received. In fact, it reminded me rather of the sort of conversations I have with my friends on Facebook chat, although the time lag is only a minute or so there! Nevertheless, the conversations often take on the character of a parlour game, where you have to answer the question before the one you've just been asked. The book also describes the struggle to exist for the pioneers on Vancouver Island, and how a sense of community existed whereby everybody helped their neighbours. The story the letters told unravelled slowly, with wonderful descriptions of day-to-day life which may have seemed mundane to the letter-writer, but are fascinating in hindsight, from our modern perspective. It had never really occurred to me before how many emigrants went to the colonies to escape something, and unlike Claudia, who was disgusted at her Uncle William's reliance on money from his parents, I was impressed at just how hard William worked to fit in and make his way. The final revelations about the skeletons in the family closet were wider ranging that I had expected, and it just goes to show how one bitter and forceful personality (in this case William's mother) can negatively influence an entire family, and in fact ruin their lives, all for the sake of appearances. Chosen from the Two Worlds Virtual Book Box by Elddau1. I will PM for the address and send it on soon. I apologise for the delay in sending this book to Eldau. I was sidetracked by the Bookcrossing Anniversary Convention in Amsterdam - the anticipation, the event itself, and the enjoyment afterwards, as well as catching up with all the things I ought to have been doing instead of dwelling on the Bookcrossing fun! Sorry for keeping you waiting so long Eldau, and I hope you enjoy the book. - Reduce Mount TBR (To Be Read) - read and release books on the TBR list since before Jan. 2010. My reading goal is 75 books. - Pages Read Challenge - read a self-set target number of pages in 2010. My goal is 24,000. EDIT: Actually posted on June 7th, delayed by school holidays. My apologies. Picked the book up from the Post Office / village shop on Saturday morning. Thank you bookguide. It's exactly what I feel like reading at the moment, and I've been struggling to get into another book, so I started it last night and i'm a third of the way through already. It's the first time I've been able to settle into a sizable bit of reading since we moved 3 months ago - I've been too restless. And I'm enjoying it. It interests me because I like pioneering history and biography. It's like the idea I had for a book, based on the lives of my ancestors that I've been researching. Also it's surprising how many similarities there are to Australian bush settlers. It feels very familiar. I enjoyed reading this as I love this genre of book - (fictionalised) history. Although set in Canada, on Vancouver Island, the pioneer story was very similar to that of Australian farmers and I could identify with it in a way I don’t as much with American or British history. I was very interested by the book's use of letters and a diary to reveal the lives of people in the past / pioneers. And I especially loved the inclusion of the photos in the book. I pored over them and they were wonderful to get a real feel of how spartan their lives were. Very enjoyable and the type of book I love. I loaned this to countdebeans' mum. She enjoyed it very much too. I thought she would! We are both interested in history and family history. Her young life had echoes of these pioneering lives. Her husband's family were pioneers in the Eurobodalla area and had brushes with bushrangers and so on. On one occasion, her mother had the job of ironing the trousers of Charles Kingsford-Smith. These stories are so precious and must be kept in the 'good china' cabinet rather than in a rusty tin under the house. This is on the wishlist of a kind BookCrosser I know. I couldn't believe the coincidence that I had the book - although I had to wait for it to come back home. Sending your way with Christmas Cheers. Thank you so much for sending me this wish list book, I can't wait to read it. I've been reading quite a variety of books lately and I have been enjoying historical fiction - just finished The Constant Princess by Philippa Gregory and now reading The Heretics Daughter by Kathleen Kent, so it will be good to move location to Vancouver Island.